21 Apr 2017 --- Nutriati, a food technology company focused on the research, development and commercialization of innovative plant-based food ingredients, announced that it has closed on an US $8.0 million investment round. The investment round was led by London-based Tate & Lyle Ventures, which invests in expansion-stage companies in food sciences and enabling technologies in line with Tate & Lyle PLC’s strategy to grow in specialty food ingredients, and Powerplant Ventures, a Los Angeles-based venture firm that invests in visionary companies that leverage the power of plants to deliver better nutrition in more sustainable and ethical ways. The round also included participation from NRV (Richmond, Virginia), and Blueberry Ventures (San Francisco, California). Nutriati will use the funds to commercialize the Company’s innovative plant-based ingredients. Nutriati’s processing capabilities allow it to leverage new plant-based sources and create ingredients that offer premium in-product functional characteristics that meet the growing global demand for high-quality, plant-based protein and gluten free flour ingredients. Nutriati’s ingredient platform features superior organoleptic characteristics to current ingredient offerings, thus enabling food manufacturers to create plant-based food options with taste, texture and nutritional profiles that were previously unattainable. Nutriati’s solutions are ideal for numerous applications including gluten free baked goods, pasta, protein bars and drinks. Nutriati has partnered with PLT Health Solutions, Inc., to bring its first two flagship products, a protein concentrate derived from chickpeas and a high protein, gluten-free chickpea flour, to market. “Today’s consumers are focused on healthier eating and ‘real foods’. The plant-based protein market has been expanding rapidly in recent years, and demand for non-soy, non-dairy, and gluten-free proteins has been particularly strong. We are pleased to work with Nutriati to introduce the next generation of novel plant ingredient,” said Tate & Lyle Ventures Managing Partner, David Atkinson. “This is a business that is a startup, but has been around for a little while. We are coming in and leading this investment round, with a view to actually get it to market, which hopefully gives them a little lead in terms of innovation and getting a chickpea product to market,” he added. He would not confirm a specific timeline is scaling up to be done, but said that it is likely that products will hit the market within the next 9-12 months. The specific investment amount from Tate & Lyle was not disclosed, however he confirmed that their natural investment range are always in the region of £1-2 million, with more reserved for follow-up financing and this one is no different. Production at Nutriati will be done by co-manufacturers. “So they have a network who get involved in the processing and over the last few months that’s what they have been developing and getting agreements in place. The co-manufacturing process supports the investment and business plan,” he noted. “Nutriati’s products are squarely in line with needs of product developers innovating in the plant-based food space. We are excited to work with the talented Nutriati team to enable food manufacturers to increase the range, quality, nutrition and sustainability of their offerings to consumers,” said Powerplant Ventures Managing Director, T.K. Pillan. “Nutriati is extremely excited and fortunate to have these four investors join our mission to improve the food supply with healthier, better tasting, options to consumers. Their global expertise and strategic support will fuel our next stage of growth of bringing nutritional, plant based differentiating ingredients to the world.” said Nutriati Chief Executive Officer and Co-Founder, Richard Kelly. “We have recognized a fundamental shift taking place in the food and beverage community, driven by consumer purchasing habits toward better tasting and healthier plant-based foods. The Nutriati team is excited to be an important part of this community, working to positively impact social and environmental food issues while building a profitable and sustainable business focused on plant-based foods,” said Nutrati Chief Technology Officer and Co-Founder, Michael Spinelli. R&D development around chickpea as a protein alternative ingredient is intensifying. Earlier this month, FoodIngredientsFirst published a video interview with Ram Reifen of the University of Jerusalem and founder of the start-up company Chick P, who discussed their product launch. “We have been working on chickpea for many years and began by improving and enhancing the nutritional quality. Over the last two years we have been able to come up with a product with a very high protein content: 70-90%. So it could be either a concentrate or an isolate. 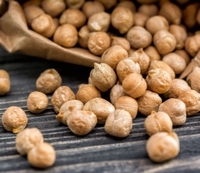 Chickpea protein is as good as soy protein, but there are no phytoestrogens and it is non allergenic.” The full interview can be seen here. Other investments from Tate & Lyle Ventures include ProLupin, where it was part of an initial investment in early 2016. Based in Grimmen, Germany is a spin-off of the Fraunhofer Institute for Process Engineering and Packaging. The company focuses on the development, manufacture and marketing of plant origin, lactose-free milk substitutes based on protein from blue sweet lupin. Prolupin is developing its own range of products which are pure organic, non-GM and free from lactose, cholesterol and gluten (except pasta) under its MADE WITH LUVE brand. This strategy aims to help increase consumer interest in lupin protein and to support sales and development of its range of lupin ingredients. So why focus on alternative proteins? “We have tended to focus on one or two key themes that seem to be emerging within the food and ingredients space. This includes the microbiome and pre and probiotics. So one of the companies that we have invested in is Evolve Biosystems, which is looking at the infant microbiome. 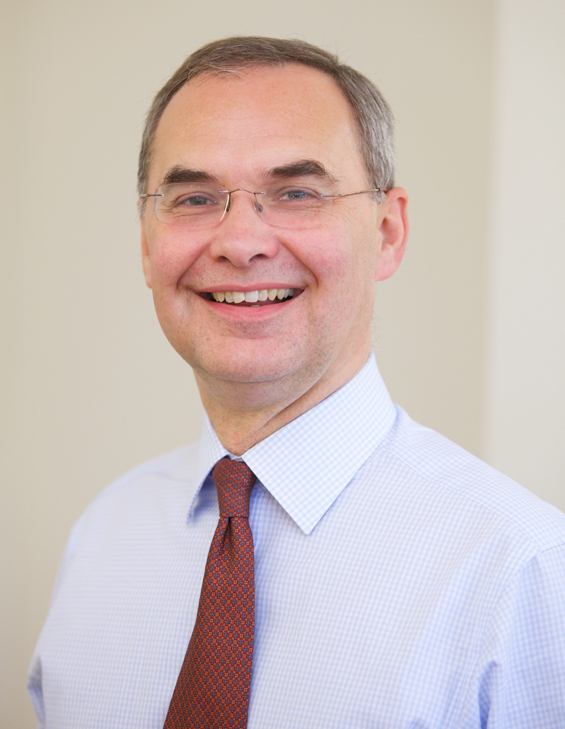 ProLupin and Nutriati are focused on another area that is key theme for the industry right now which is protein and that is a great investment theme because the fund is focused on financial return, as well as being a window on the world for Tate & Lyle as a group,” he explains.